Do you have a lamp that could use a little facelift? 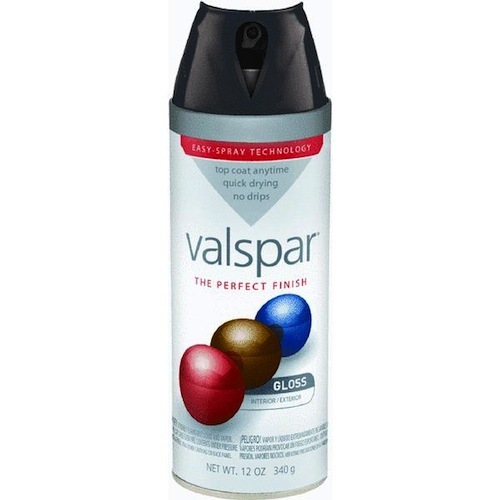 Why not give it a little spray? 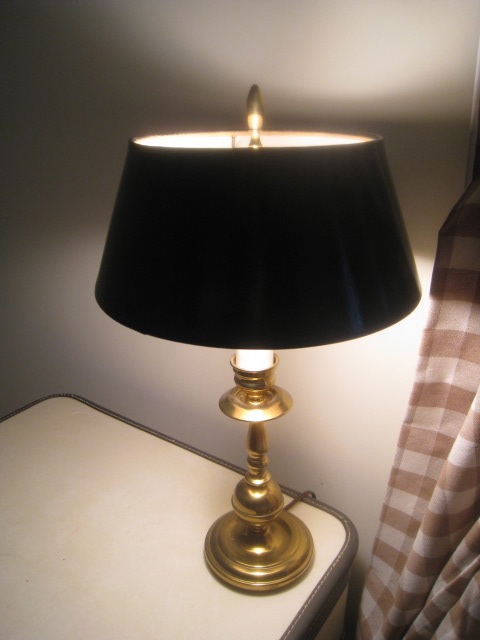 My mom found this little brass desk lamp in her attic, and gave it to me for my son's bedroom. I love free stuff, but I wasn't totally digging the color of the lampshade. I thought about shopping for a replacement shade, but then a lightbulb went off (get it?) ... why not spray paint it? 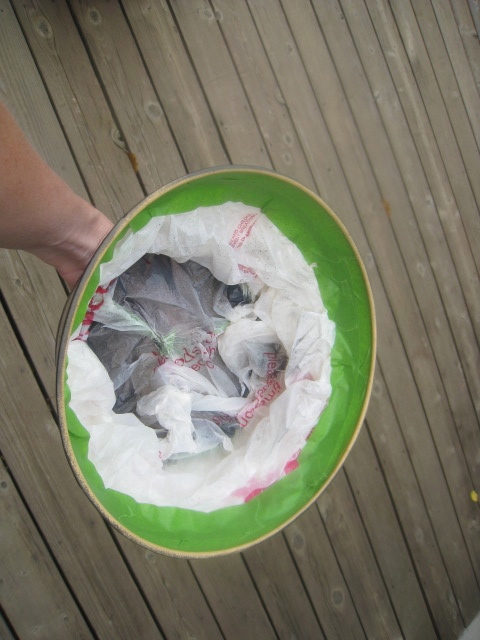 First, I taped a plastic bag inside the shade so I wouldn't splatter paint all over it. Actually I sent my husband to the hardware store, and this is what he came back with. But, I will say that it worked great. No streaks or dripping paint. Easy to use. Dried fast. What is the shade made of? It looks almost plastic or something....I'm asking because this looks like a great idea and I've got a shade I'd like to try it on! Also, did it smell when you turned it on? Super cute. Those Moms come through now and then, right? I've brush painted shades, but never spray painted one. Great idea! Great idea! It turned out great! I have absolutely fallen in love with the suitcases piled up as a bedside table. Congratulations on your son´s bedroom´s decoration!! God idea. Actually, as a floral designer, I have spray painted faux flowers to get a shade or color I needed! It really works well but you have to have a LIGHT hand. The lampshade turned out great! Great fix! I use spray paint to customize wicker pieces - currently have an antique bassinet that is being spray painted white and then dry brushed grey with chalk paint. Hmmmm, should finish that project. I think it looks great! I love the idea of fixing up old things with spray paint. I've done a few chairs that way and it's addicting! I really love those suitcases that you are using as a nightstand!